Much of the credit for the best Shiraz made in the Barossa is due to old vines such as these. The fact that these vines still exist is largely due to a far-sighted quarantine scheme, in which South Australia was spared the phylloxera outbreak which devastated the vineyards of Europe, America and subsequently parts of Australia in the late 1800's. The warm 2003 vintage, compared to 2002, produced full flavoured concentrated wines. Each small parcel of Shiraz was vinified separately and matured in French oak barrels. 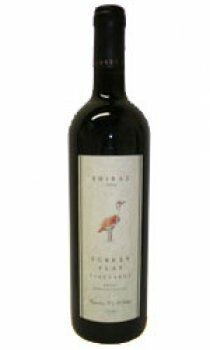 The result is a firmly structured complex Shiraz, with lifted 'primary' fruit aromas of bitter cherries and prunes and 'secondary aromas' of Christmas cake/plum pudding, mocha, and leather/suede. The full-bodied palate has flavours of plums, red fruits, spice, and will definitely improve with careful cellaring of up to 10 years.